Spend your days exploring the Torres del Paine Mountain Range, the Patagonian Steppe and Lake Sarmiento; then return home for a soak in your hot tub, a custom-made cocktail (the bartenders mix up original concoctions daily) and a long evening meal prepared by a celebrated Relais & Chateaux chef. 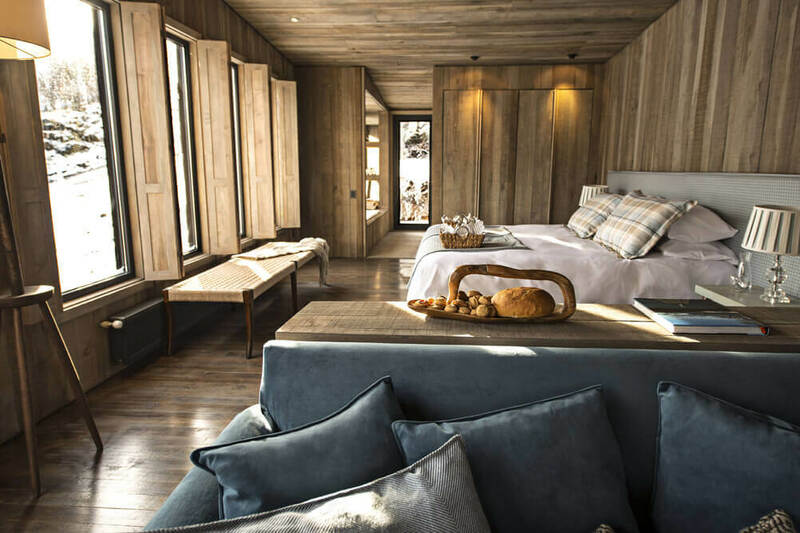 Situated in a private reserve overlooking Torres del Paine National Park, Awasi has just 14 villas and a main lodge. Each villa is assigned with a private guide and 4WD so you can explore at your own pace, visiting where you want, when you want. It’s the world’s southernmost Relais & Chateaux hotel and the perfect spot to enjoy Patagonia’s splendour. Awasi Patagonia is perfect for ambitious adventurers, couples retreats, family lodge vacations and professionals seeking a digital detox. All rates are tax exempt for guests that are not residents in Chile and pay in foreign currency. Single travellers an additional supplement (inquire for details). Special pricing available for children between 5-18 years. Note that the months above reflect our preferred times to visit, but the Inn is open in April in October as well. Must-do Experience? Heading up the hill at Baguales for a chance to be completely alone, surrounded by nature, is an ethereal experience. The private guides at Awasi really make the experience. It's like having a friend take you to all the local gems you would have never found on your own. Fill out the form below and one of our experts will be in touch shortly about planning an adventure around this property. The closest international airports to Awasi are Presidente Carlos Ibáñez del Campo International Airport in Punta Arenas and Comandante Armando Tola International Airport in El Calafate. From here, you can arrange transport to Puerto Natales (the halfway point from Punta Arenas airport) or Cerro Castillo. Awasi offers a free private pickup service from these locations. Whether you want to spend your days hiking the Torres del Paine, horseback riding with the local gauchos, or exploring the nature around the resort, a private guide and 4×4 vehicle are always at your service to craft excursions that best suit your interests. 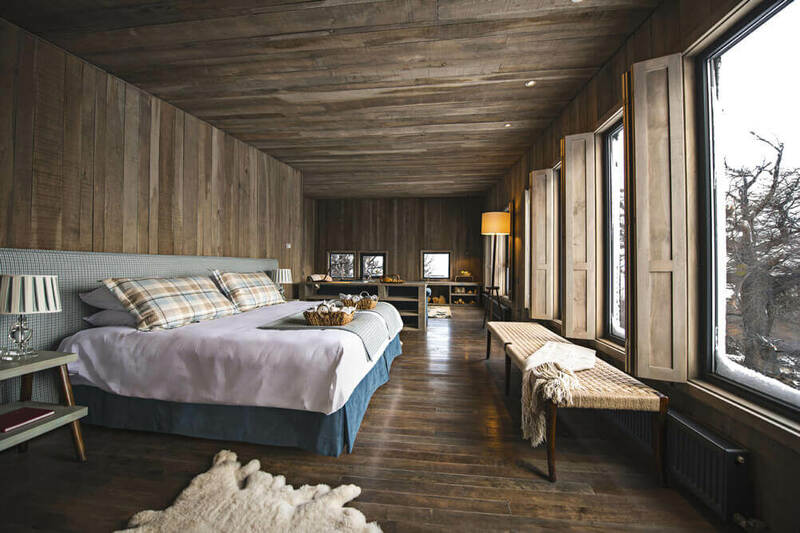 Inspired by old Patagonian shelters and ranching outposts, Awasi houses 14 modern villas, all thoughtfully crafted from local lenga wood. Each villa comes equipped with a private hot tub and wood-burning stove. 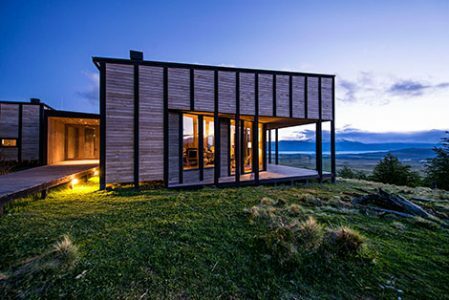 They are positioned in a way that ensures privacy and also offers the best views of the forest, Lake Sarmiento, the pampas and Torres del Paine. Intimate hideaways that blend into their natural surroundings; all featuring a coffee corner, wood-burning stove and your very own open-air hot tub. The space is 800 square feet and includes an entryway, a cozy living area, a second bedroom with two double beds, and en-suite bathroom. A larger space with more room for family and friends. Each bedroom has views of the "torres", Lake Sarmiento and the Patagonian Steppe. The space is 1,500 square feet, and includes an entrance hall, a cozy living area, two master bedrooms, one bedroom with two double beds, a bathroom and an indoor terrace.